Lovely report from the almighty Scooty on the Doctor Who Forum about today's filming for the two part Christmas/New Year special. "Right, well this morning all the filming was inside with Sylvia, Donna and Wilf, this continued for two scenes after lunch. Then the crew moved outside to film a scene on a minibus - Sparrow Lane day outs for the over 50's. 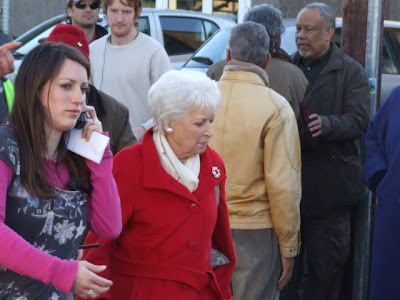 Then June Whitfield turned up! 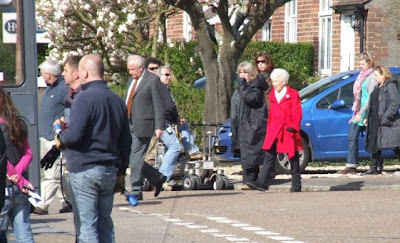 The minibus then does 4 laps of the area filming a scene with Bernard and June onboard before arriving back at the house. 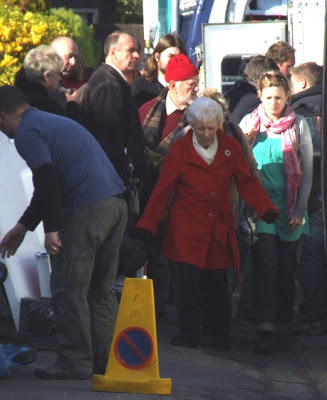 Then they moved further down the street to film a scene where Wilf hails down the minibus, does a little dance as it stops then jumps on board. 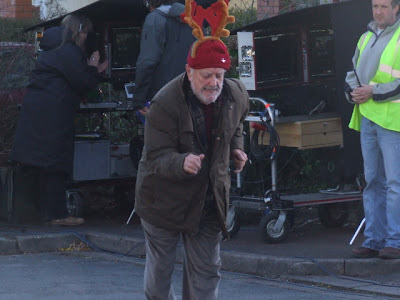 The dance that Wilf does was hilarious, some kind of moonwalk! I love that man!" A fellow observer, mosthauntedjp also gives us this run down of the filming inside Donna's house. "We heard Catherine Tate shouting "I'm scared, I'm Scared" in a typical Donna fashion. We heard her scream/shout. All filmed inside in the morning. Whole street was decorated like Christmas, blow up Santa and lights." Filming continues through to May and includes a night shoot over April 17th/18th.